A Large Size, Colorful, Anciently Aged And Visibly Used, Very Well Made Cache River Point That Exhibits Surface Sheen And Stone Aging Coloration Patination, Aged Side Notches, Correct Rolled Basal Stem Edge Hafting Dulling, Correct Early Style Blade Flaking, Aged Surface Deposits, Correct Material And Manufacture For The Area Found. 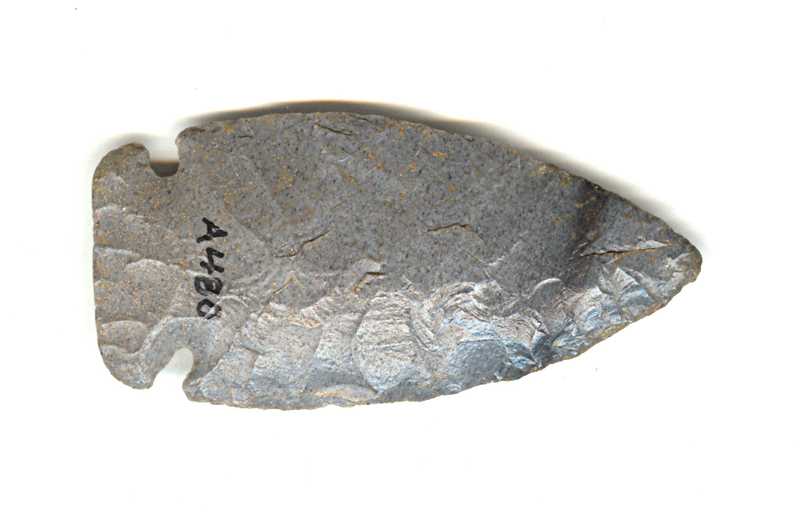 This Nice Example Was From A Frame Of Arkansas Points Owned By Robert Bell And Carl J. Engelder. This Colorful Example Displays Excellent Flaking! Includes A Ken Partain Certificate of Authenticity!